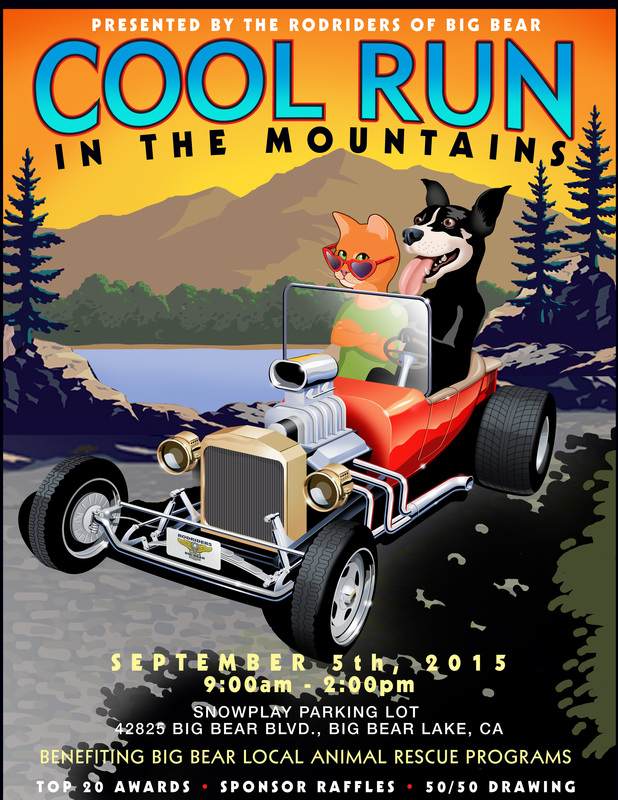 THE COOL RUN IN THE MOUNTAINS WILL BE ON SATURDAY THE 5th OF SEPTEMBER.. LABOR DAY WEEKEND.. ENTER YOUR RIDE AS SOON AS POSSIBLE.. AS SPACE IS LIMITED.. ATTACHED PLEASE FIND OUR FLYER AND REGISTRATION..
AS ALWAYS THE FUNDS COLLECTED.. GO TO BIG BEAR VALLEY’S ANIMAL RESCUE PROGRAMS. ALL CARS ARE WELCOME.. THERE IS NO YEAR OR MAKE RESTRICTIONS.. SO DROP YOUR PREREGISTRATION IN THE MAIL TODAY SO YOU WILL BE ASSURED A SPOT..!! 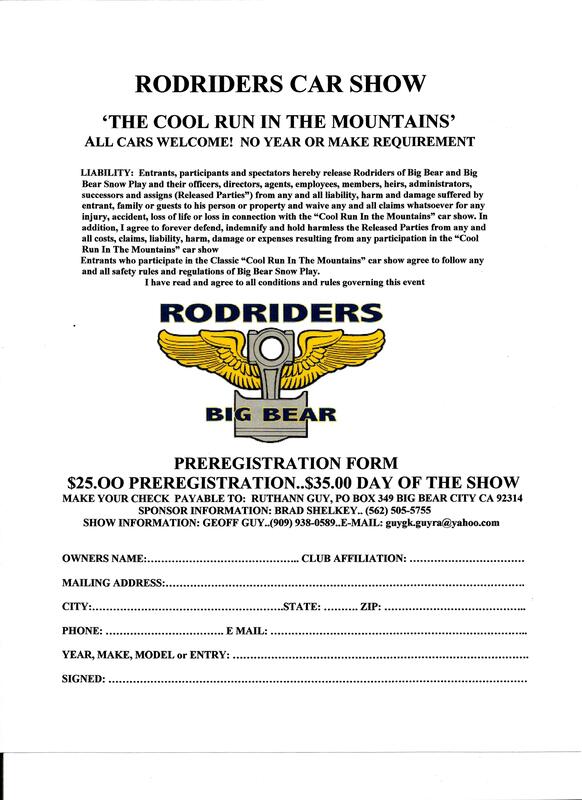 COMBO HAS 95,247 ACTUAL MILES.. $350.00..
DOVES 2015 REGISTRATION FINALTHE RODRIDERS WILL HOST THE DOVES “CRUISIN TO STOP BRUISIN” CAR SHOW ON JUNE 13th 2015 FROM 9:00am TO 3:00pm AT THE “SNOW PLAY” PARKING LOT IN BIG BEAR LAKE.. ALL PROCEEDS WILL GO TO THE DOVES DOMESTIC VIOLENCE PROGRAMS BENEFITING WOMEN IN THE BIG BEAR VALLEY AREA.. RODRIDERS WILL BE PARKING CARS FROM 7:00am TILL 8:30am.. VOTING FOR THE EVENT WILL BE “PEOPLES CHOICE” WHERE 15 SPONSOR TROPHIES WILL BE PRESENTED.. THERE WILL BE FOOD AND BEVERAGES.. LUNCH WILL BE PROVIDES BY THE “SONORA CANTINA”.. AND THE MONIES RECIEVED.. WILL ALSO BE DONATED TO THE DOVES PROGRAMS.. PLEASE CHECK THE “LINK”FOR THE CAR SHOW FLYER.. AND MAIL IT AND YOUR ENTRY FEE TO THE ADDRESS IN THE INSTRUCTIONS.. 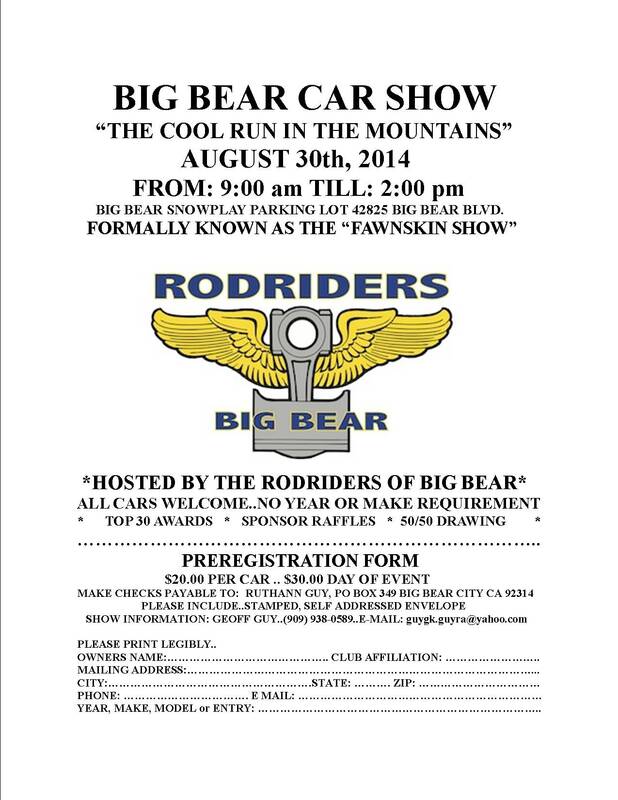 THIS IS A GREAT CAR SHOW AND ALL VISITORS ARE INVITED TO JOIN US AT THE “SNOW PLAY” IN BIG BEAR LAKE..